Article by Carol Ryan, Irish Times Journalist, where Amber Hanna & David Keane are interviewed. What do the theory of evolution, Beethoven’s 9th symphony, the Mona Lisa, Harry Potter and Apple Computers have in common? They are all the work of an introvert who spent thousands of hours alone honing their work to perfection. Some of the world’s most famous introverts include Bill Gates, Google founder Larry Paige, Albert Einstein, Mahatma Gandhi, Anthony Hopkins and Steven Spielberg. Despite his charisma, Barack Obama is a classic introvert who has learned to “act” extroverted on the campaign trail. Many Asian countries prefer reserved people but in the West being labelled “quiet” is not a compliment. The ideal personality here is fast-talking, fun-loving and risk-taking. Bad news for nearly 50% of the population who are more introverted. Where you fall on the introvert/extrovert scale has an impact on pretty much every aspect of your life including the partner you choose, the friends you meet and your career. Extroverts get their energy from the outside world and love interacting with people. They are more likely to have a wide circle of friends, to place big bets on the stock market, to be hospitalised with an injury, to exercise and have affairs. Introverts get energy from solitude and feel drained by too much socialising. It is not the same as shyness, introverts just prefer situations that aren’t overly stimulating. 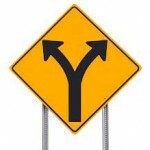 They like more “down time”, have a greater need for privacy and are less outspoken in groups. The two personality types even arrange their work spaces differently. An extrovert is more likely to decorate their office and leave the door open to lure co-workers in for a chat, while introverts tend to keep their door closed to ward off interruptions. Susan Cain, author of the bestselling book “Quiet: the power of introverts in a world that can’t stop talking” says that we miss out when we ignore the strengths of introverts. “Some of our greatest ideas, art and inventions…came from quiet, cerebral people who knew how to tune in to their inner worlds and the treasures to be found there”. She describes growing up as a soft spoken child in America (the most extroverted country in the world), and being pushed to socialise on an endless round of play dates and boisterous summer camps. As she grew older, she noticed that parents often apologise for shyness in their child, that the volume of a person’s voice is sometimes more important than the quality of their work at the office, and came to the conclusion that introversion is a second class personality trait in the West. “Extroversion is a hugely appealing personality style but we’ve turned it into an oppressive standard to which most of us feel we must conform. If you’re not an introvert yourself, you are surely raising, managing, married to, or coupled with one”. Most workplaces and schools are more suited to the needs of extroverts. “Classroom desks are increasingly arranged in pods to foster group learning” says Cain. Research shows that the majority of teachers believe that the ideal student is an extrovert but in fact, introversion is linked to intelligence. The US Gifted Development Center found that 75% of children with IQs above 160 are introverts. Although they are more natural students, quiet children are at a disadvantage where there is a lot of emphasis on classroom participation and group work in school. David Keane is a Senior Corporate Psychologist with Davitt Corporate Partners. He says that Irish businesses should be aware of the strengths of extroverts and introverts when selecting employees because a bad hiring decision can cost a company three times the person’s annual salary. Introverts have a more difficult time selling themselves in a traditional interview as self promotion does not come as naturally to them. “The nature of an interview is more suited to an extrovert because you have to talk about yourself and think on your feet” says Keane. “But if you throw in something practical like a presentation where an introvert really gets time to put their thoughts down on paper, it levels the playing field”. In the business world, there is also an assumption that extroverts make the best managers. Amber Hanna, also a Corporate Psychologist with Davitt Corporate Partners, says that a quieter style of leadership is coming into fashion. “In the past number of years that kind of alpha, charismatic leadership hasn’t worked…just take a look at what happened on Wall Street. People are now more willing to accept that people who listen, get a consensus and make more logical, thought-out decisions probably make better leaders”. Even office design can have a big impact on how productive introverts and extroverts are in the workplace. The funkily decorated, open plan offices ushered in to Ireland by multinationals are more suited to extroverts. “Plenty of introverts do really well in open plan offices but they probably go home at the end of the day exhausted from hearing so many voices and having so much interaction all the time” says Amber Hanna. “So if an open plan office has breakout rooms or quiet rooms, you are more likely to find introverts going off in there to work”. Introverts are happiest when they can work in nooks and crannies and if a company has a lot of introverts on their team, it makes economic sense to give them their own workspace. A study by consultants Tom DeMarco and Timothy Lister compared 500 computer programmers (an occupation stuffed with introverts) at 92 different companies. The main factor separating the most successful companies from the least successful was that they gave more privacy, personal workspace and freedom from interruption to their programmers. If job specs are anything to go by, being an outgoing “team player” is one of the most important attributes a job seeker can have today. But is team work really all it is cracked up to be? Teamwork can actually hamper innovation and lead to group-think where people toe the line even if they don’t agree with the group’s decision. If a company is seeking creativity and visionary ideas from their workforce, they would do better to advertise for an introvert because introversion is strongly linked to creativity. Steve Wozniak, the engineering genius who designed the first Apple computer (but was completely overshadowed by the more charismatic and extroverted Steve Jobs) has little time for teamwork and has this advice for introverts who find they don’t quite fit into today’s corporate environment. “Most inventors and engineers I’ve met are like me – they’re shy and they live in their heads. They’re almost like artists…and artists work best alone. I don’t believe anything really revolutionary has ever been invented by committee. Not on a committee. Not on a team. Work alone”. 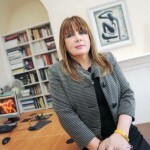 Carol Ryan, Journalist with the Irish Times. This Article was published in the Health Supplement of the Irish Times on Tuesday 22nd January. 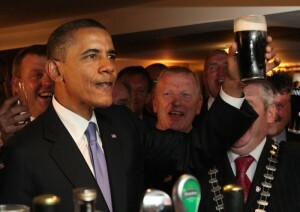 https://www.davittcorporatepartners.com/wp-content/uploads/obama_ireland.jpg 496 700 David https://www.davittcorporatepartners.com/wp-content/uploads/logo.jpg David2013-02-07 12:48:022013-03-05 06:19:56Article by Carol Ryan, Irish Times Journalist, where Amber Hanna & David Keane are interviewed.